After months of suboptimal weather, most property owners are itching to get outside and start landscaping the property and preparing for spring work. Efficiency is key for the hobby farmer, and knowing what can be done now to make later easier will make a world of difference. Read on for tips on preparing property for spring. Before mowing, rake the lawn to remove any stray leaves and twigs. Not only will this remove wet leaves, which could cause problems in early spring, it will also help identify any spots that will require extra attention later on, such as areas with winter weeds or dead spots. No matter the size of your mower, it’s never too early to get it ready to go. There may not be a specific time to start mowing, but there is a general rule: Do not mow the grass if it’s too short (typically less than two inches). Mowing a lawn before it’s ready will make the grass susceptible to weeds and disease. When spring rolls around, the lawn is in need of some nutrients. Using fertilizer between February and April will result in a healthy lawn during the growing season. Pesky winter weeds may start to pop up starting in February. In order for pre-emergence herbicides to be successful, their timing must be spot on. Apply pre-emergence herbicides well before the time weeds have emerged in the past. If weeds have already emerged in the lawn, or if this timing is unknown, make a note to apply pre-emergence herbicides a few weeks before their emergence next year. In this case, a post-emergent herbicide will be more successful to kill those weeds. While spring fertilization is recommended, starting too early can actually harm the overall area. 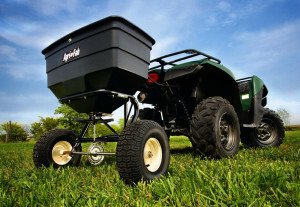 Fertilizing a property in later spring before the summer heat kicks in is advised in order to produce excellent results. 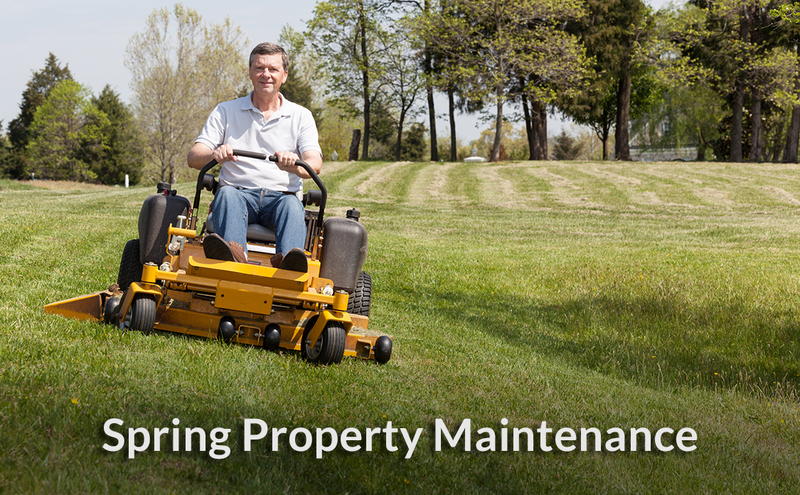 Property care goes beyond lawn management. As spring begins, be sure to take care of tree, barn and garden maintenance. Most trees and bushes can be trimmed starting in February. Trimming and pruning trees and bushes in late winter or early spring can result in a more impressive growing season. Spring cleaning also applies to barns and other outbuildings. Take time this spring for basic maintenance that sometimes are forgotten, such as weeding out the perimeter, decluttering aisles and sheds, emptying and sweeping out haylofts, and scrubbing containers and troughs. RM43™ – this herbicide can be used for total vegetation control on baregrounds or for spot control of bush, vines and weeds. Compare•N•Save® Crabgrass & Sandbur Preventer – this pre-emergence herbicide controls many annual grasses and broadleaf weeds. Contact Ragan & Massey product experts for more information about which products are best for your property.